Capricorn is the tenth sign of the zodiac. It is associated with the Tenth House, and is ruled by Saturn. Capricorns are serious, hardworking and melancholic. Browse the posts below to learn more about Capricorn. Why does a Capricorn fall out of love? Capricorn is most compatible with other earth signs (Taurus, Virgo) and water signs (Cancer, Pisces, Scorpio). 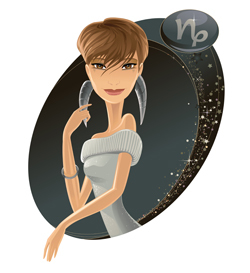 View the posts below to learn how Capricorn gets along with the other signs of the zodiac. How does a Leo girl win over a Capricorn man? How can a Sagittarius woman seduce a Capricorn man? Is an Aquarius man / Capricorn woman match a no-go for longevity?